Welcome to the online home of Tolleson Union High School. We’re happy you’re here. Located in Tolleson, Arizona, we’re a part of the Tolleson Union School District. Our school delivers top-notch education and with the help of our supportive community, highly qualified teachers, and exceptional students, we have a school we’re proud of. We hope you take a moment to browse our site and learn more about us. We think you’ll like what you see. If you have any questions or would like to tour our campus, please let us know. We are always happy to serve you! I would like to invite and encourage you to be a part of our Wolverine community by getting involved in various events throughout your child’s high school career. We have a strong staff committed to providing your student with the best possible education, and we know how much it means to students when their parents are involved. and by encouraging their child to do his/her best every day. 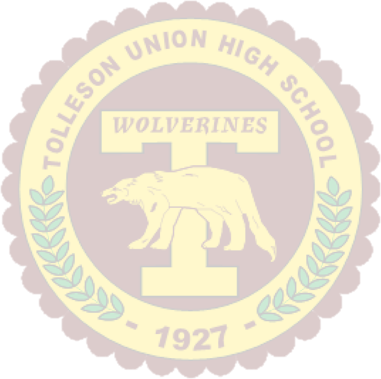 Tolleson Union High School is a school with strong traditions and strong community support. I have often said that TUHS is in the most advantageous situation in the state of Arizona when it comes to parent and community involvement. There are generations of families who are proud to call themselves Wolverines, and they want nothing more than for their next generation to do the same. We want you to take pride in being a Wolverine and become involved in this strong partnership. As principal, I want you to know that we truly believe in each and every student who attends Tolleson. Throughout the year we will encourage students to do their very best in every aspect of their education and life. We have high expectations for our students, and we will settle for nothing less than their very best. We look forward to meeting and working with you this school year.